Although it always helps to have some idea of the type of role you are seeking, you may not know exactly – we can provide information and advise to help you identify your job and career needs. We look for jobs for people all day, everyday. 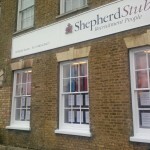 Shepherd Stubbs’ Consultants are expert, industry qualified and committed to providing the service you require. Sometimes it can be uncomfortable to tell others just how good you are! If we don’t have your ideal job straight away, we will market your skills on your behalf. Did you know, on average only 10% of job vacancies are advertised in the press? Using a reputable recruitment agency therefore, widens your search significantly. You are a valued customer and will be treated as such. When you walk into one of our offices, you will be welcomed and wherever possible, registered there and then without appointment.